Shipments of iron ore on the Great Lakes totaled 61,354,552 net tons in 2011, an increase of 12.8 percent over 2010, and the highest total since 2006. The year ended on a very strong note; December loadings were up 35 percent. Loadings at U.S. Great Lakes ports rose 14.3 percent to 55 million tons. However, shipments from Canadian ports registered only a marginal increase: 57,937 tons, or roughly two loads in Seaway-sized lakers. The 2011 ore float was 13 percent ahead of the trade’s 5-year average. U.S. ports collectively bettered their 5-year average by 17.6 percent, but loadings at Canadian ports slipped by more than 15 percent. 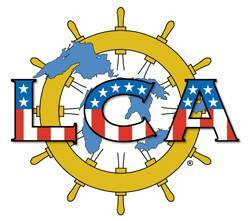 Lake Carriers’ Association represents 17 American companies that operate 56 U.S.-flag vessels on the Great Lakes and carry the raw materials that drive the nation’s economy: iron ore and fluxstone for the steel industry, aggregate and cement for the construction industry, coal for power generation.... 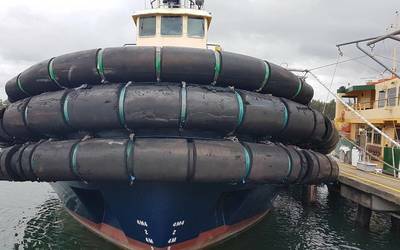 Collectively, these vessels can transport more than 115 million tons of cargo per year when high water offsets lack of adequate dredging. Those cargos support more than 103,000 jobs with an average wage of $47,000. More information is available at www.lcaships.com.